Any dog lovers out there? You might want to start lining up for The Predator. 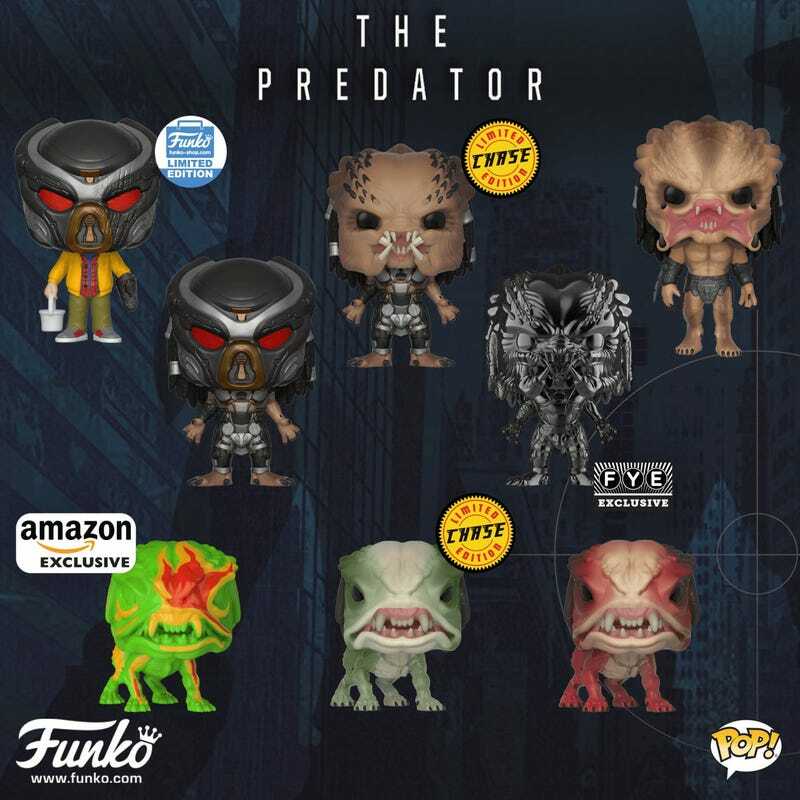 Funko recently revealed several new Pop figures tied to the upcoming Shane Black film, The Predator, and among the reveals were several “Predator Hounds.” These are not exactly a new addition to the franchise, as there were similar creatures in the Robert Rodriguez-produced Predators, but design-wise, these feel even more directly tied to the creatures themselves...at least in Pop form. Check them out along with several other new additions, thanks to Bloody Disgusting. What we’ve heard about these hounds is that in The Predator, they’re specifically used by Predators to help track humans, which is slightly different from their use in Predators. This new role both makes sense, as dogs can track people in real life, but also feels a little redundant since Predators are specifically built to track prey. Hence the name “Predator.” So we’ll have to wait and see how that all works out. We just hope no humans try to adopt them as pets. Also of interest is the figure of Jacob Tremblay’s character in a Predator mask. In footage screened at CinemaCon, we saw that the character gets the mask in the mail — so it makes sense he’d put it on, especially since the film is set during Halloween. But what does that do to a kid? It’ll be interesting. The Predator opens September 14 and these Pops will be available “this fall,” according to Funko’s site.